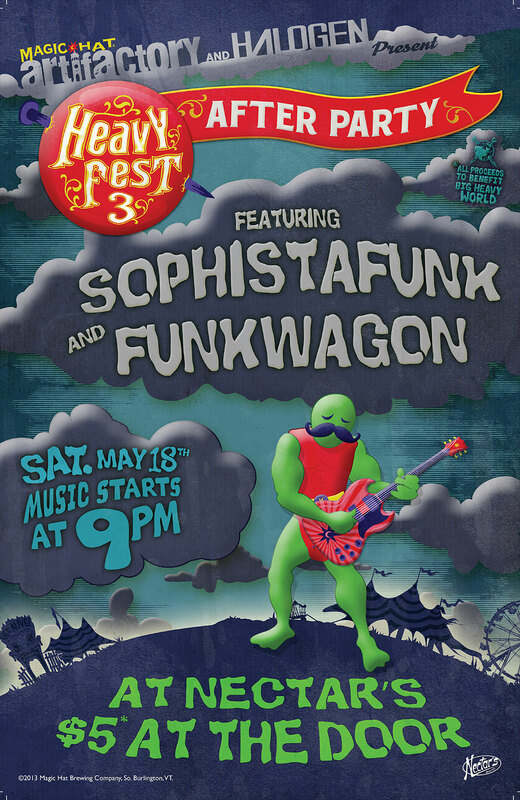 HeavyFest was a giant annual concert and party hosted by Magic Hat at their South Burlington brewery each May in support of Big Heavy World. It was a festival extravaganza with attractions, great food and beverage, amazing bands, brewery tours, and more. Magic Hat has been a Big Heavy World supporter for years - pick up a HeavyFest shirt, pint glass, or compilation CD at the brewery's ArtiFactory and the proceeds support our work to preserve and promote Vermont-made music. Every HeavyFest they roll out the casks of Big Heavy Wheat. And if you're very lucky, wherever you are, the cap on your bottle of Magic Hat will say 'bigheavyworld.com' inside. Having Fun at HeavyFest 2011!